Welcome to C-U Safe Routes to School! ​C-U Safe Routes to School Project (C-U SRTS Project) is an organization with representatives from the CU Mass Transit District, Champaign County Regional Planning Commission, CU Public Health District, Urbana and Champaign planning, engineering and law enforcement, Champaign County Bikes, Urbana and Champaign School Districts, as well as other educators, parents, and community members. 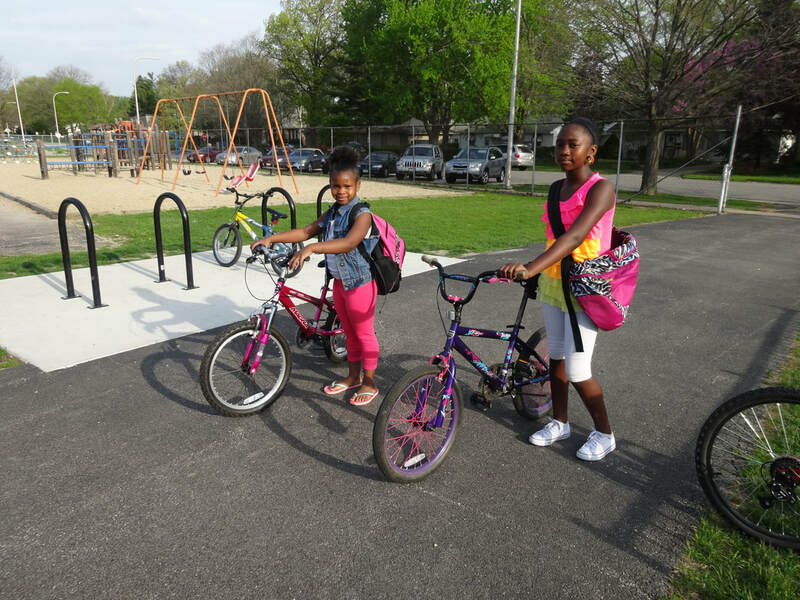 The project came about after four years of organizing Walk & Bike to School Day in Champaign and Urbana schools and deciding that there was more that could be done to educate the community on pedestrian and bicycle safety issues. In coordination with National Bike Month, Bike to School Day 2019 will be held on Wednesday, May 8th. This event is held to encourage children to safely bicycle or walk to school. It provides an opportunity for the community to connect with each other, celebrate and build off of the energy of National Bike Month. Check back on our website and Facebook page for more updates! 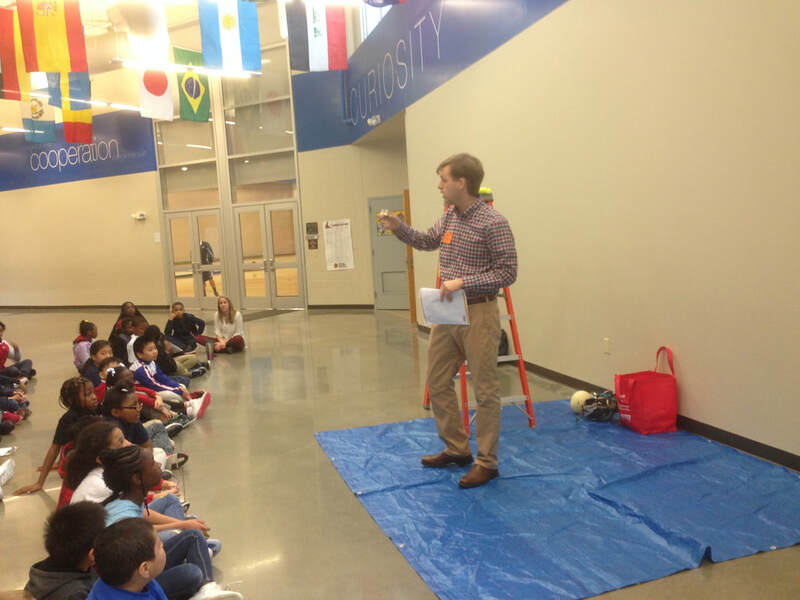 We need volunteers to help with our bike rodeo at Kenwood Elementary School in May! You will be part of a variety of fun tasks including helmet fitting, bicycle safety checks, scanning and signaling that help elementary school children learn and practice safe bicycling skills. Your help will ensure our bike rodeo runs smoothly. If you are interested in community service, this is also a great opportunity to do so! 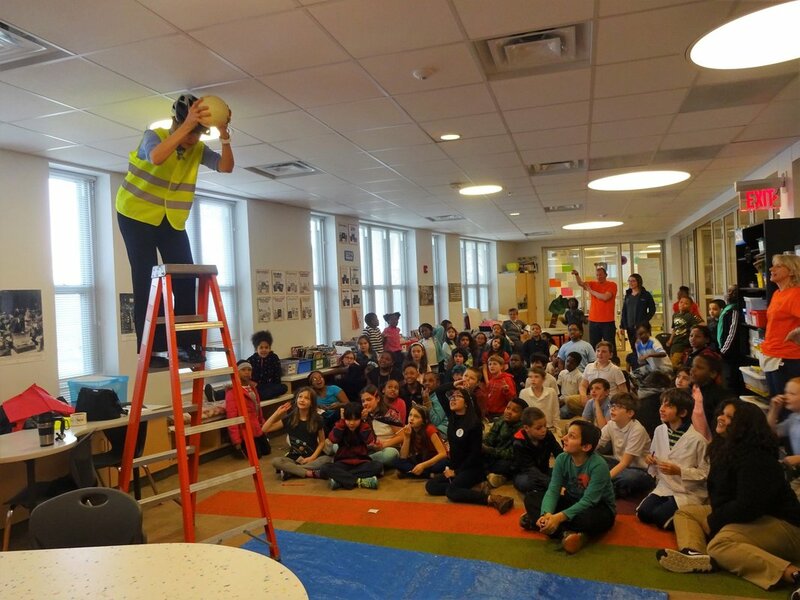 Playing It Safe, is Carle's free annual safety fair, featuring more than 50 activities and exhibits that focus on safety awareness for the entire family. One of the biggest activities is the C-U SRTS Project Bike Rodeo. We usually have over 100 children go through the bike rodeo and learn new safety skills. Plan to join us this year May 18th 9:30-12:00 at the Leonhard Recreation Center located at 2307 Sangamon Drive in Champaign. Bikes and helmets are provided. We are looking for volunteers! Please sign up here. See our calendar for any upcoming events! If you are interested in participating in any of our recurring events or might be interested in starting an event of your own, contact us now! This event was celebrated throughout the country on October 10th, 2018, encouraging students to make healthier choices for themselves and the environment. Walking and biking are great forms of exercise, and fairly easy to integrate into a child's daily routine.It offers children an opportunity to get to know their neighborhood, learn and practice safe pedestrian habits, and prepares them for the school day. Risk Watch is a comprehensive injury-prevention curriculum implemented in our local grade schools. 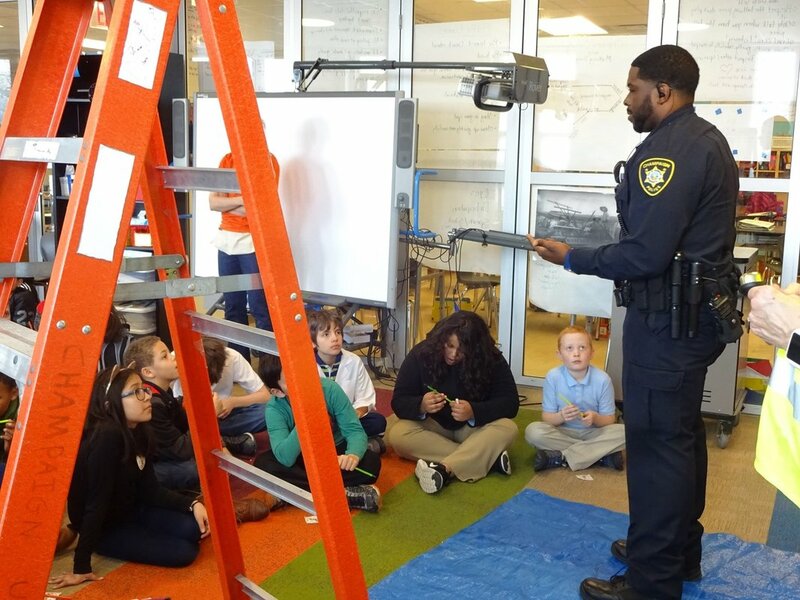 The program is designed to help children and families create safer homes and communities by teaching the skills and knowledge to make positive choices about personal safety and well-being. 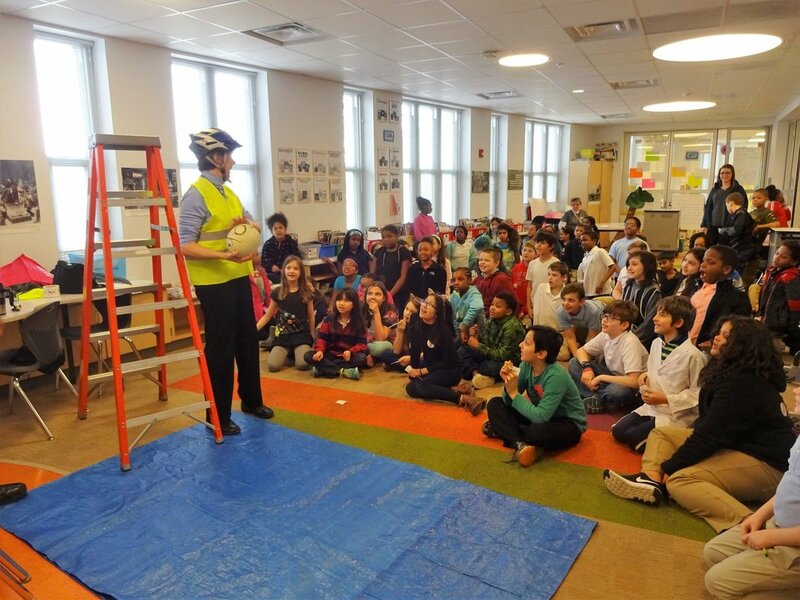 As one of the "Risk Watch Experts" this year, Safe Route to School Project went into classrooms of Champaign elementary schools co-teaching bicycle and pedestrian safety topics. 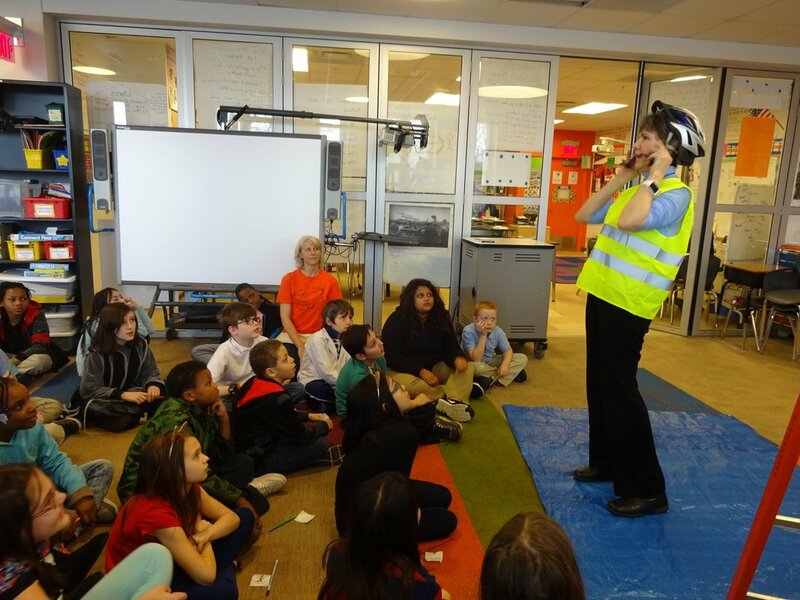 In our lessons, officers from Champaign Police Department introduced safe walking including using crosswalks, watching for cars, and being visible when walking, while Safe Route to School talked about safe biking - how to fit a helmet, and how to make basic hand signaling. 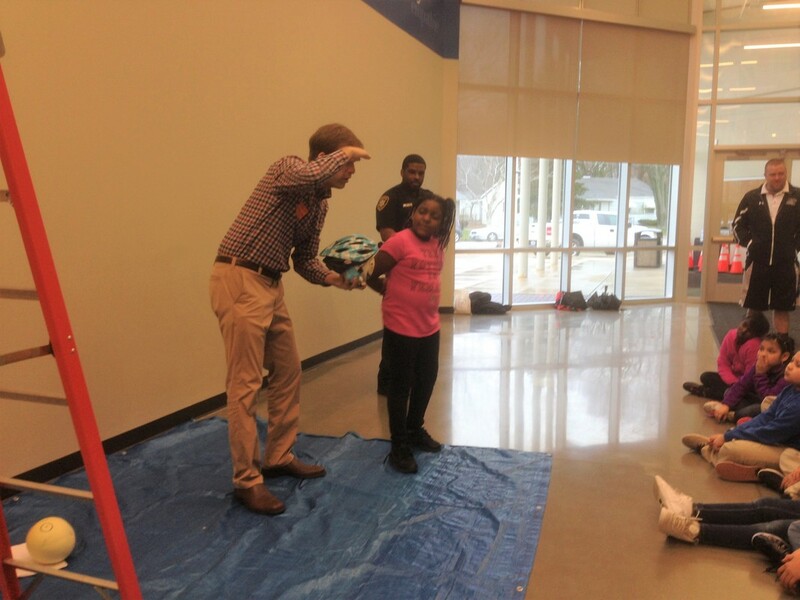 Most importantly, we reinforced the importance of wearing helmets through an exciting "Melon Drop" demonstration. While the Scared Melon was cracked wide open after being dropped from a ladder, The Happy Melon who has a helmet was always sound and firm! 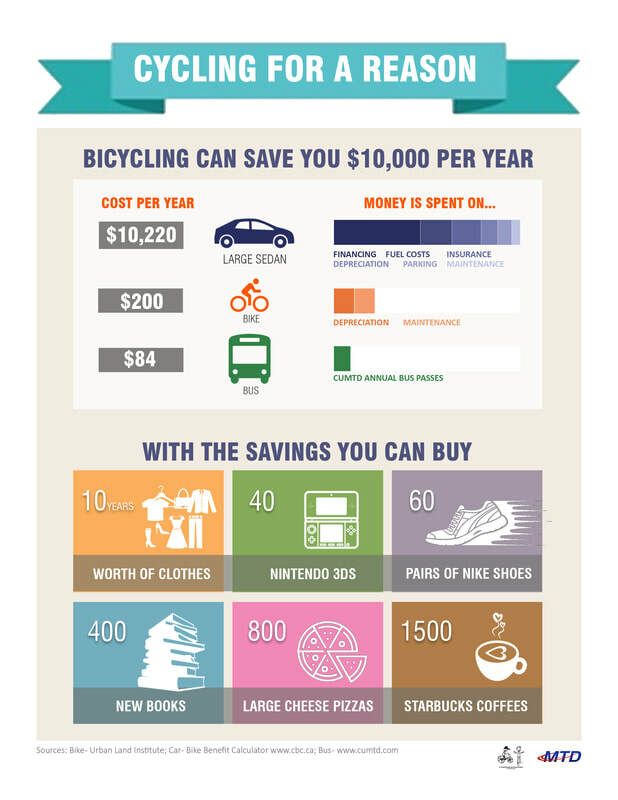 ​You've probably known that bicycling has tons of benefit of keeping our environment green and keeping you in good shape, but do you know riding a bike will also be a complete game changer for you financially? 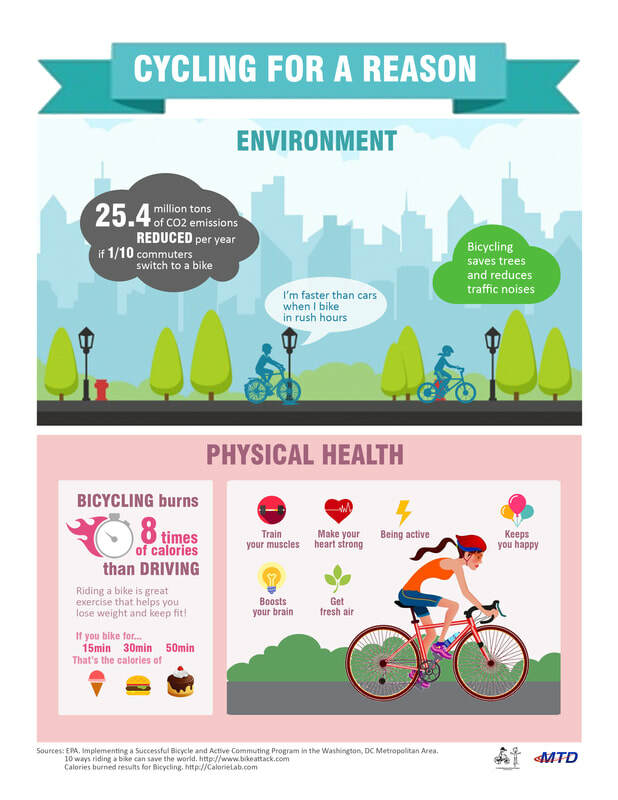 Check our fact sheet to see the all the statistics of bicycling compared with driving, and find your own reason of getting on a bike in this coming spring! C-U Safe Route to School project has hosted Walk to School Day in Urbana-Champaign for over ten years, and has received many smiles, laughs, thanks and high-fives along the way. Visit our archived photos to see what happened in previous year's event in Champaign-Urbana. ﻿﻿﻿﻿Parents, how walkable and bikeable is your community?﻿ Take a walk or bike ride and use the checklists below to rate your neighborhood’s walkability and bikeability.